on May 28, 2017 at 3:32 pm Uzroci prosperiteta | Tko je John Galt? 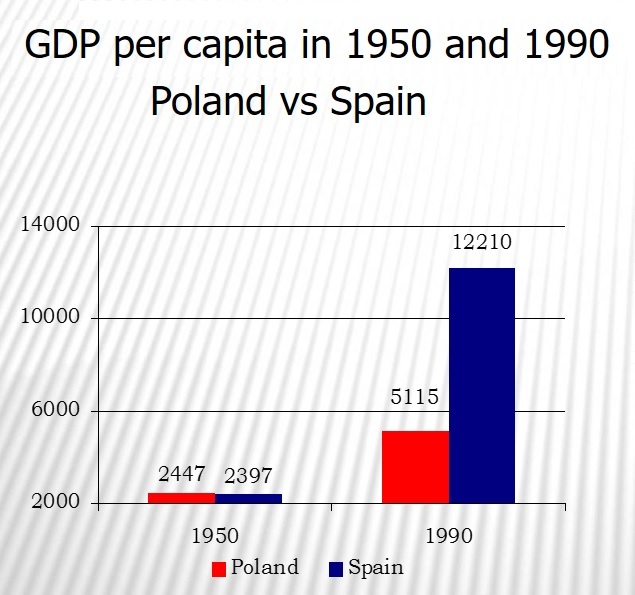 I would love to see that graph versus Spain run up to 2002 when Poland joined the EU and those stupendous EU agricultural subsidies and convergence funding really got to work. And the same graph from 2003 to present. My bet would be on a slower convergence post-2003 because government directed subsidies usually bugger things up, but it would be interesting to have my prejudice validated. The biggest problem with Poland is what the former Interior Minister called in private the “theoretical state”. Foreign influence, post-Communist influence and organized crime had left the free marketeers supine and powerless. Repatriated profits, hostile takeovers to close down rivals, tax preferences for foreign businesses, lack of credit available for SMEs etc. etc. meant that Poland was left under-developed. Even major infrastructure works like ports were left undone, because the Germans didn’t want competition. 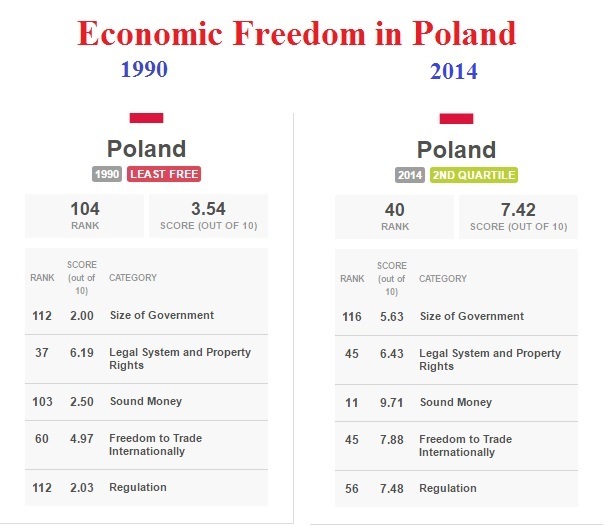 And so, Poland faced the classic problem of a nascent economy that needed a good dose of protectionism to avoid rapacious, short-termist foreign exploitation. Not the capitalist ideal, I know.